Jon was appointed CEO in June 2007. 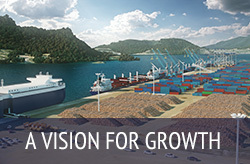 He is also a director of North Tugz Ltd, a company jointly owned by Northport Ltd and Ports of Auckland. 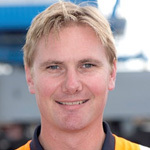 Prior to Northport, Jon was the Deputy Harbourmaster for the Fremantle Port Authority, WA and the Regional Harbourmaster/Maritime Manager in the Bay of Plenty. 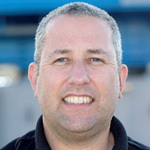 David was previously Northport's Port Operations Manager and has more than 20 years of experience in senior operations, project and technical roles on high value, safety critical and complex sites. 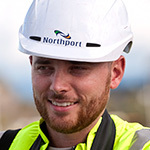 Before joining Northport in 2014, he was the infrastructure and Operations Manager at the Trawsfynydd nuclear power station in Wales. David is a Chartered Engineer and a Fellow of the Institution of Mechanical Engineers, and holds an Honours Degree in Engineering. Nick started his employment as the Company Accountant in July 2003. 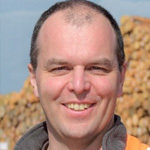 Prior to joining Northport, Nick was the Management Accountant at Cogent/Ubix in Auckland and the Operations Finance Planning Manager with Lion Breweries. Nick is also the Company Secretary for Northport Ltd and North Tugz. Nick is a member of the Chartered Accountants Australia & New Zealand and Institute of Directors. 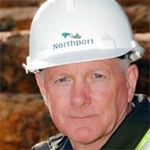 Greg joined Northport in 2008 as the Terminal Facilities Manager. 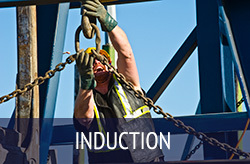 He is responsible for the development and maintenance of the land and wharf infrastructure and services, including buildings and mobile plant. 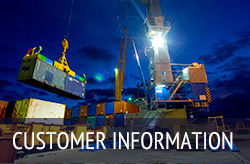 In this role, he is able to work with existing and new customers to help facilitate their development needs as well as supporting Northport’s Operations team and port users alike. Greg trained as a Land Surveyor, where he gained necessary experience for his degree in the initial construction of Stage 1 of the port. Once qualified, Greg practiced as a Surveyor in Auckland, as well as a surveyor for London Borough of Hammersmith and Fulham in the UK. Jae joined the Northport team in 2010 as Marine Supervisor and became Operations and Marine Manager in July 2016. This role covers the Northport Ltd Operations and Cargo team, Port Services Centre (including Security Operations) and Marine Operations. 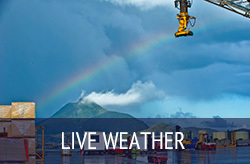 His team provides operational support and services to Port Users and Customers utilising the Northport facility and vessels operating on the Whangarei Harbour. 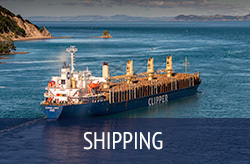 Prior to joining Northport, Jae worked for the Auckland Regional Council’s Harbourmasters Office, Royal New Zealand Navy as a Navigation Officer and Environment Bay Of Plenty Harbourmaster’s Office.